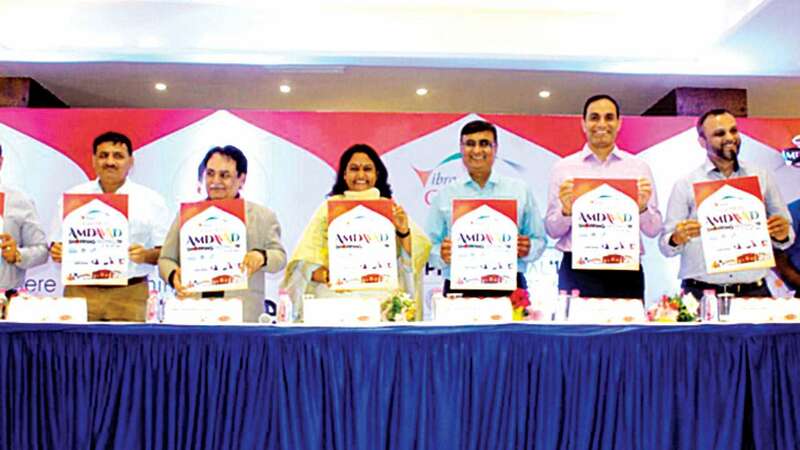 Ahmedabadis will have a gala time from January 11-27 as new offerings and discounts will pour in from players in textile, garments, food, electronics, consumer goods among other shopping items as state government, Ahmedabad Municipal Corporation (AMC) and local traders have planned Ahmedabad Shopping Festival – 2019. Organizers planning to make this a regular event which can help Ahmedabad emerge as a shopping hub. This is for the first time that such event is planned as a part of Vibrant Gujarat Global Summit. The state government has formed a Governing Committee headed by Mukesh Puri, principal secretary in Urban Development Department to plan and execute the festival. Puri said the government will extend all possible help in making the festival a grand success. Sources in government and trade said that while visitors from across the globe participate in Vibrant Gujarat Global Summit but their visits are confined to business while leisure and shopping are never on their Radar. “The Shopping Festival will have three weekends so consumers will get ample opportunity for shopping. Traders will offer discounts, there will be food festivals, cultural events. Over at period, we would like to make it a regular event. It will also give boost to tourism in the state,” said Vijay Nehra, commissioner of AMC. State government recently gave official nod for the shopping festival to be integrated with Vibrant Gujarat Global Summit. Also Ahmedabad has been declared as India’s first Heritage City and the festival is also expected to give boost to heritage tourism. Gujarat Traders Federation is roping in leading brands from textiles and apparels, food, art and craft, entertainment, films and theatre, tourism and others to provide new offerings and discounts as a part of Shopping Festival. “It is not just shopping but a holistic experience, that we plan to offer to citizens. We are in talks with multiplexes to offer special screenings for films. There will be stage shows, musical nights and other events as well,” said Jayendra Tanna, president of the Federation.